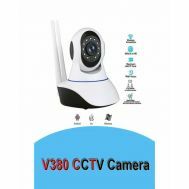 Are you willing to buy security and surveillance cameras for your backyard, front-porch and backdoor entrance? Explore the discounted security and surveillance cameras at Savers Pakistan with 360 rotation, 4K video recording and great vendor warranty to protect your territory in dark nights. Keep an eye out on the intruders and suspicious activities by using security cameras from brands such as Samsung and eyeflix. Order the portable and wifi-equipped security camera online.